Shannon Kepler and his attorney Richard O’Carroll (R) leave courthouse following mistrial decision. *A judge has once again shocked prosecutors and family members of 19-year-old Jeremy Lake, who lost his life at the hands a white Oklahoma ex-cop — whose daughter he had just started dating. 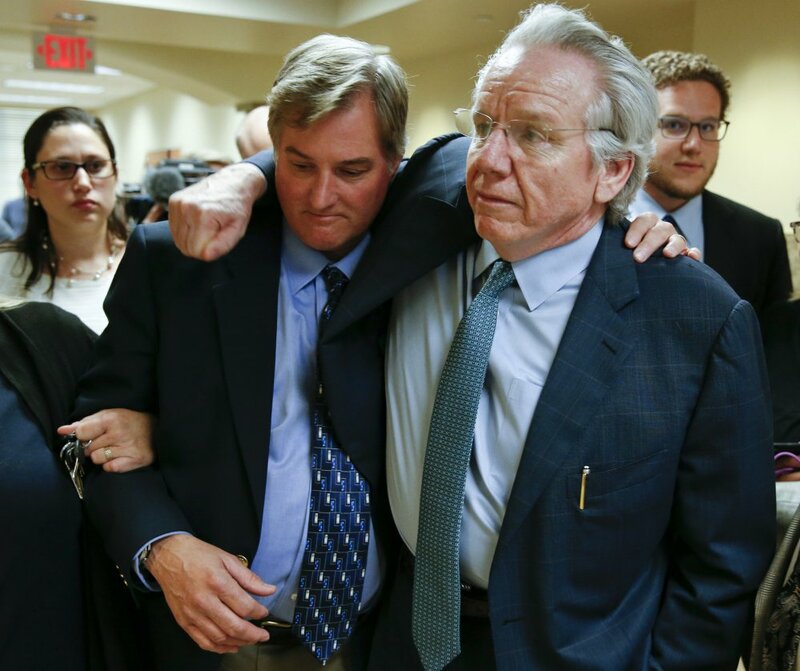 Even the photo above, showing Shannon Kepler’s attorney hugging all over him, looks odd. I’ve never had an attorney show me so much love. Have you? Kepler shot the teen as the boy was, according to his aunt, reaching to introduce himself and shake the cop’s hand. Kepler claims the shooting was in self-defense; saying Lake was armed. But the police found no weapon on Lake nor anywhere at the scene. Sound familiar? Here we go again.